The members of the Rotary Club of South Eastman are from Steinbach and the southeast corner of Manitoba. A young club with big plans for the future, it is a volunteer organization of business and professional leaders who provide humanitarian service, and help to build goodwill and peace in the world. Rotary clubs address critical issues at home and abroad by providing health care and medical supplies, clean water, food, job training, youth development, and education to millions of people in need. The club has been active in the national campaign of Polio Eradication and looks forward to celebrating the global eradication of Polio. Locally, the Rotary Club has been instrumental in funding the D.A.R.E. (Drug Abuse Resistance Education) program, taught in the local schools by the Steinbach RCMP members, the highly acclaimed program that gives kids the skills they need to avoid involvement in drugs, gangs, and violence. Also, as a proud supporter of the “Out of the Blue” campaign – South Eastman’s Regional Suicide Prevention program, the Rotary Club has hosted a wine pairing event each year. 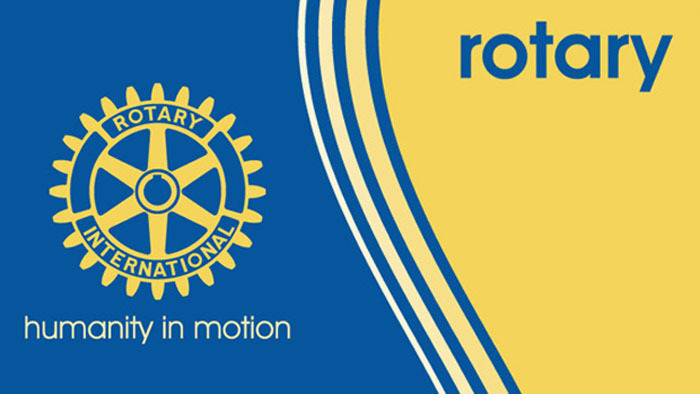 If you are interested in learning more about or joining the Rotary Club of South Eastman, please Cornie Petkau at 204-326-4514. The Rotary Club of South Eastman meets regularly on Wednesdays at noon, at the Mennonite Heritage Village in Steinbach. Please join us!